The first article in the series showed how an estate plan prepares one for incapacity during life and not just for the distribution of assets at death. The second article in the series focused on how an estate plan should take into consideration the potential for future Long-Term Care (“LTC”) needs. The third article focused on the differing needs of the beneficiaries and the need for different planning as a result. The fourth article focused on beneficiary designations and the need for coordinating them with the overall plan. The fifth article focused on planning for retirement assets. This sixth article focuses on how taxes should be considered in planning an estate. 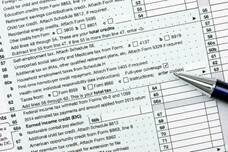 When planning, taxes are an important consideration. Of course, that does not mean they are the only consideration, or even the most important consideration. That’s the reason taxes appear as the final estate planning consideration on the list. Taxes really break down into two components: taxes of the client and taxes of the beneficiaries.